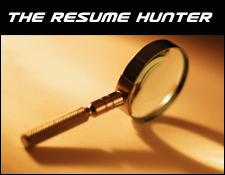 The Resume Hunter continues to scour the Web in search of the elusive blue diamond: the perfect resume. We are pleased to report, we’re still coming up empty. As always, the goal is to collectively learn from one person’s mistakes. Before you put your resume out there for the world to see, make sure it’s error-free and represents you in the best possible light. Today’s subject is one Donald G. Helsten, a transportation manager straight outta West Valley City, Utah, population 118,917. Below is the Hunter’s 90-second scan – and the problems he uncovered. This exercise works best if you print the resume or pull it up in a new window. Then read the notes. They work from top to bottom. What Is This? In case you were confused, this is Donald’s resume. How do I know? Because he has a header at the top center that says “RESUME.” Phew! I was confused. Double Error. Listing two e-mail addresses unnecessarily confuses the reader. 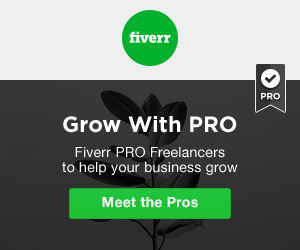 When it comes to giving people options on how to contact you, your goal should be to make it as simple as possible. Also, make sure your e-mail addresses are perfectly neutral. One of them on this resume ends in smartfella.com – and I had no clue that they were an ISP in the middle of the country. At first glance, it just sounds like some egotistical Web site the dude runs. Match Your Headers. When you bill something as “Professional Highlights,” please don’t give me a factoid like “25 years in transportation management.” While that’s something important to know, it’s clearly not a “highlight.” And if it is, you’ve had a pretty uneventful career. Formatting. Try to find ways to save space when it comes to dates and addresses. While the TAB button can be the bane of your existence, try to make it your friend. Use the full width of the paper rather than push important information farther down on the page. Summary, MIA. Each job is followed by “accomplishments” instead of experience. The problem here is that under Donald’s most recent job, which he’s held for over four years, he lists one measly item. Meanwhile, a job he held four years prior, and for a shorter period of time, gets eight items. C’mon Don! What have you done for yourself lately? Inconsistent .!? Commas astray and random periods. Even if you’re not a punctuation pro and don’t know the difference between a colon and a semi (who does! ), at least keep it consistent throughout the document. Acronym Madness. The Hunter is beginning to find that unidentified acronyms are a chronic resume problem. L.T.L and O.T.R. are listed and leave me wondering W.T.F. are they!? In the Past. Things that you accomplishes at previous jobs should be referenced in the past tense. Only current gigs get the present treatment. Sell out your friends. How happy do you think Don’s references would be if they found out their contact information has been scattered all over the Web? Should we call them and ask? Nah, that would just be mean. If you are going to list references, you should obviously let them know in advance. Also, they should have a good understanding where their info could end up. Hope you learned a little something from today’s exercise. The Resume Hunter is not perfect. Heck, I’ve seen his resume and it ain’t perfect! However, in 90 seconds, I think he does a nice job of pulling out some problems that we all can learn from. So polish up that resume, you never know who the Hunter will pick apart next.